Home to vast rows of vineyards and a subtle sense of class, sunny California’s Napa Valley is a luxury traveler’s dream come true. As an annual pilgrimage destination for lovers of fine wine and even finer food, Napa Valley is well equipped for the esteemed traveler. Napa Valley is world-renowned for its wine production. There is no doubt that the memories of your trip around the valley will be punctuated by the wineries that entice you through their gates. Incredibly, within the neighborhoods of Napa Valley, there are six Michelin-starred restaurants. Will you be able to get a table at one of these coveted culinary enterprises? With so much to consume in this enchanting valley, one would hope that there is ample opportunity to burn off the calories. In true Californian style, there is indeed countless opportunities to get active in this pocket of the Golden State. From yoga and wellness centers in fabulous eco-resorts to gorgeous golfing greens; from manicured tennis lawns to rugged rambling routes of Oat Hill Mine Road, there are no excuses to leave heavier than you arrived. Let’s take a look at where to stay in Napa Valley so you can get booking those all-important dinner reservations as early as possible. Being the largest town in Napa Valley, Napa City brings a whole host of excitement to the experience. 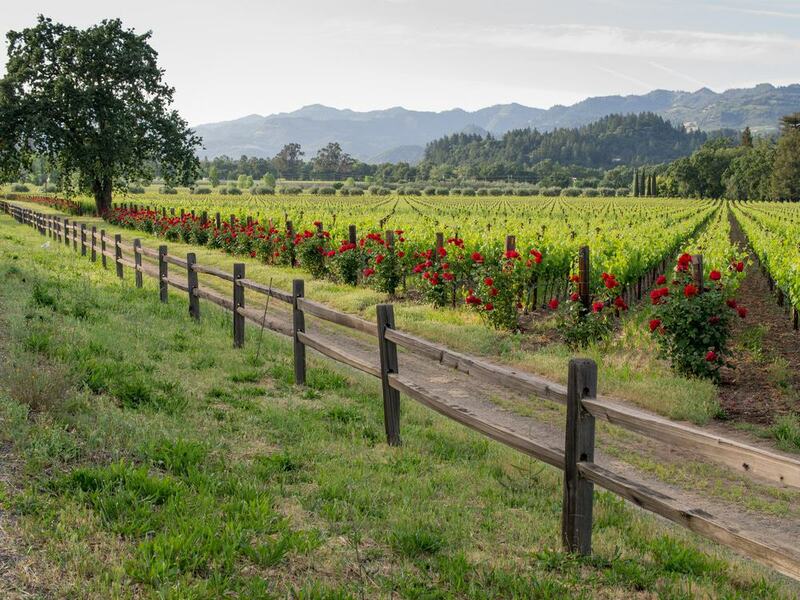 Coupling the relaxed attitude found in the Cali countryside with the urban vibes of San Francisco that sits just 30-minutes away, Napa City is a highly sought-after spot. Being the figurehead of Napa Valley, it is a great neighborhood to base yourself for trips throughout the region. 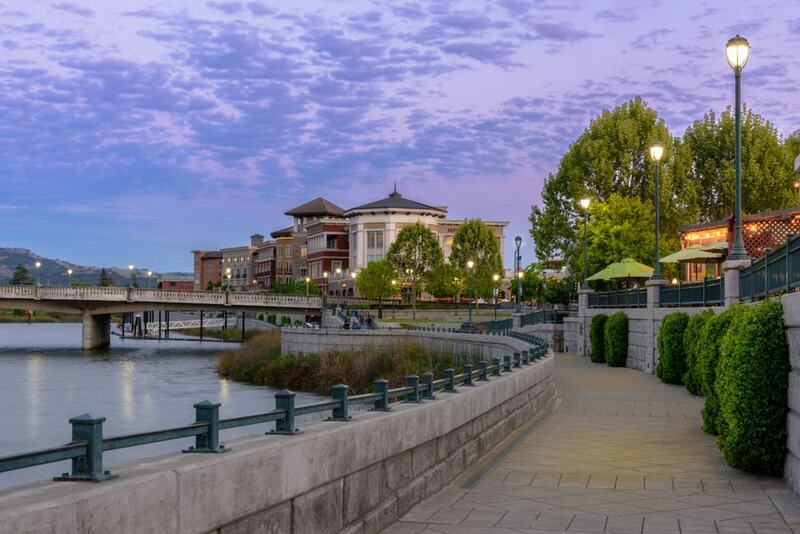 With a strong community feel, Napa City is the kind of place that will inspire you to have a cheeky look at real estate prices before you go to bed. Speaking of beds, accommodation in Napa City is something else. More than just a place to crash out at the end of the day, hotels and B&Bs in Napa City are a cut above the rest. The heart and soul of Napa City is the Uptown Theatre. Be sure to see what’s on during you’re time in town to add an additional cultural element to your stay. Hawthorn Suites – Centrally located and highly-sought after, Hawthorn Suites is one of the more affordable options in Napa Valley. Rooms are simple in design but by no means lacking in comfort or amenities. Guests have access to the gym, hot tub and pool. WiFi is free and breakfast is included. Cedar Gables Inn – Homely and cozy with ornate decor, Cedar Gables Inn is just 400-meters from Uptown Theatre. Rooms have private ensuite bathrooms complete with spa bath. The breakfast here is superb and offered on a complimentary basis. Within walking distance of Napa City’s best restaurants, including Morimoto. Inn on Randolph – The embodiment of understated luxury, the Inn on Randolph is one of the most popular hotels in Napa City. The furnishings and decorations are chic and stylish. Both cottages and singular rooms are available and an exceptional breakfast spread is laid on every morning. Set to the northeast of Napa Valley is the much-loved neighborhood of St Helena. 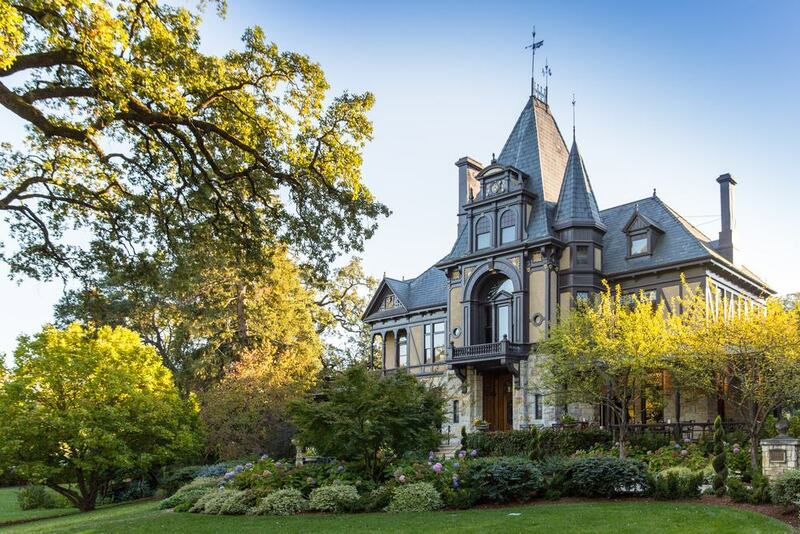 Home to dozens of high-end boutiques, world-renowned wineries and Michelin starred restaurants, St Helena is one of Napa Valley’s most sophisticated neighborhoods. Spice Islands Marketplace should be the first port of call for any fanatical foodies keen to expand their culinary horizons. Offering over 1700 cookbooks, world-class cookware and gourmet foods, be sure to bring a little extra spending money. Ensure to leave enough time to pop into neighboring Ghirardelli Chocolate Discovery Center, you will be blown away. Art lovers will feel right at home in St Helena. Caldwell Snyder Gallery has a wonderful collection of American and European contemporary art, including sculpture. The Dennis Rae Fine Art Gallery has a rich and varied calendar of exhibitions featuring predominately local artists. Lyman Park and Crane Park both have spacious play areas ideal for families. Southbridge Napa Valley – Offering the VIP treatment to everyone who checks in, Southbridge is the place to stay if you want the full Napa Valley experience. Guests have free access to the Health Spa, hot tub and gym. Next door Merryvale Winery is one of the finest around. Vineyard Country Inn – With staff who are simply outstanding, plus an amazing location and near unrivalled levels of comfort, Vineyard Country Inn is the gem of St Helena. There are rooms and suites available and guests are welcome to use the swimming pool and spa. Each room come with a coffee machine. Judy’s Inn – Quaint, cozy and charming, Judy’s Inn is a real home away from home in St Helena. Just 5-minutes’ drive from Del Dotto Vineyard & Caves and only 3-minutes from Christopher Hill Gallery, there’s never a dull moment. Host Judy loves to share her local knowledge. Seeking ultimate relaxation in Napa Valley? Calistoga is the place for you. Awash with swanky spas, mineral mud baths and heavenly hot springs, Calistoga will have you feeling like a new person. Spa Solage is one of the most innovative venues in Napa Valley, with an extensive treatment menu. You certainly won’t regret a visit to their Mud Bar. Should you need an adventurous excursion to reawaken you from your spa-induced slumber, then Calistoga can deliver that to you too. Calistoga Balloons offer hot air balloon rides over the entire Napa Valley. The views are simply breathtaking and the whole experience is hopelessly romantic. Not to be missed. Wineries around Calistoga include Chateau Montelena and the magnificent Castello di Amorosa. Inspired by Tuscany, Castello di Amorosa’s grounds are as memorable as their wines. The winery offers daily tastings and tours of the estate. UpValley Inn & Hot Springs – High-tech, modern, and with next-level comfort, UpValley Inn is a fabulous hotel. Rooms come with the own iDock, coffee machine and flat-screen TV. The natural hot spring pool is heavenly and guests have unlimited access. Close to the Napa Valley Wine Train and Sterling Vineyard. The Bergson – Unique and stylish, The Bergson is in the heart of Calistoga. Many of the rooms have their own open fire place and all come with cable TV and coffee making facilities. It’s the little touches that make The Bergson a real winner, like the complimentary L’Occitane soap products. Calistoga Spa Hot Springs – The kind of hotel that you can’t stop admiring throughout your stay, it is an incredible property. Offering four mineral pools, gym, yoga studio, and outstanding levels of service, it is well worth the splurge. Less than 2-kilometers from Castello di Amorosa Winery. Ideal for romantic couples retreats. Proudly home to the highest number of Michelin stars per capita in the United States of America, Yountville is a foodie’s paradise. With a waiting list of two months or more, Thomas Keller’s ‘The French Laundry’ is one of the toughest restaurants in America to get a reservation. Worth the wait? Oh yes. Don’t be disheartened if you miss the boat though, Addendum, Ciciio, and Redd are suitably phenomenal alternatives. From a cultural perspective, Yountville has a lot to explore. Napa Valley Museum, Blue Heron Gallery and Gallery 1870 each have interesting and versatile collections to muse upon. If you are heading to Napa Valley in the springtime, be sure to time your visit with Yountville Live. This weekend-long festival celebrates the best of California’s wine region every March. Local musicians, food demonstrations, markets and epic auction fundraisers all feature in this community organized event. Hotel Villago – Spacious and stylish rooms, complete with open fireplace, private balcony, private patio, Hotel Villago is an unforgettable place to stay. The extravagant breakfast buffet is healthy and wholesome. The staff are extremely accommodating and the location near perfect. The onsite spa is highly recommended. Napa Valley Lodge – Never had a Champagne breakfast before? Now is your chance. The breakfast alone is a reason to reserve a luxury room, or suite, at Napa Valley Lodge. The rooms are chic and oh so Cali. 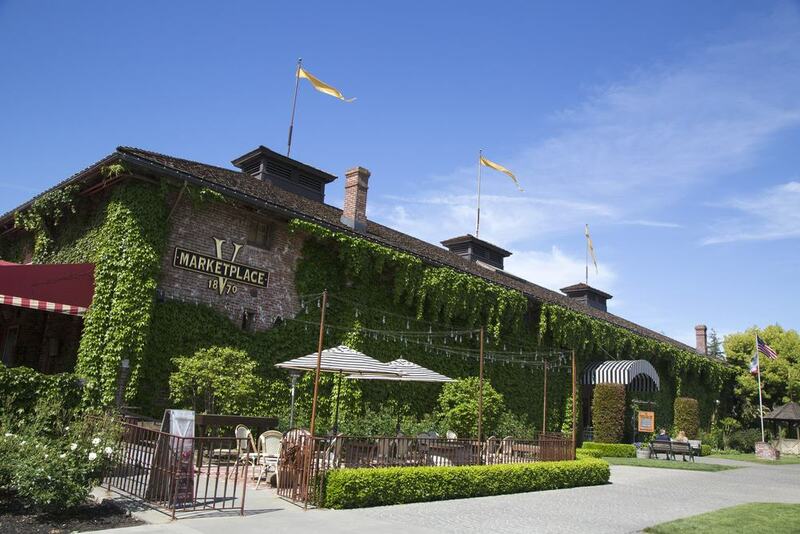 Yountville’s best shops, restaurants and tour providers are within a short walk. Petit Lodgis Inn – Charming and homely, Petit Lodgis Inn is the perfect retreat in Yountville. The rooms are French inspired, cozy and comfortable. The garden is enchanting and suitably shaded. Only 80-meters from Bouchon and 400-meters from The French Laundry. Children and families are welcome, parking onsite is available. 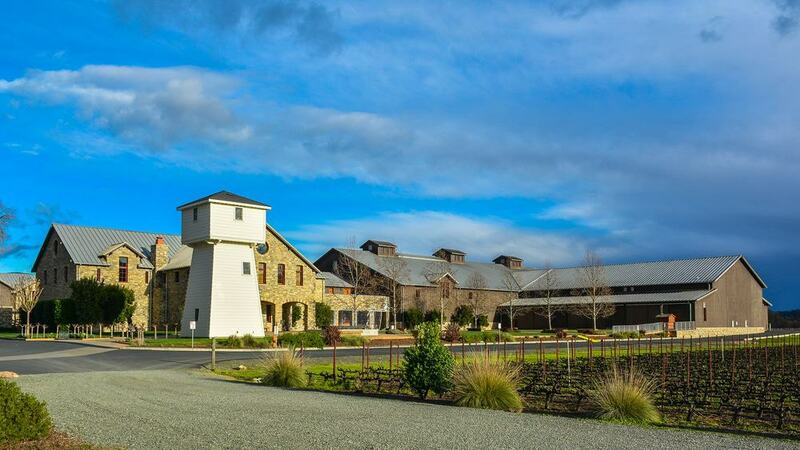 American Canyon is a popular first port of call for road trippers and is the perfect neighborhood for families considering visiting Napa Valley. There really is something to keep everyone happy. Six Flags Discovery Kingdom is less than an hour’s drive away and Paintball Jungle is good, wholesome fun for the whole family. For those who prefer a more placid day out, Spirit Horse Riding Centre may just be the answer. Founded by lifelong horsewoman Charlotte Dougherty, Spirit Horse offers hour-long horse riding lessons for beginners and experienced riders, as well as day camps. Better than a kids club, right? Chardonnay Golf Club is one of the most prestigious in Napa Valley. Featuring a full 18-hole green that weaves through 150-acres of picturesque Chardonnay vineyard, this is one of the most-loved golf courses in California. Sign up for their eClub and get a free green fee on your birthday week. Holiday Inn Express Hotel & Suites – Ideal for families and travelers who want to experience Napa Valley without breaking the bank on accommodation. All rooms have air conditioning, ensuite bathroom and flat screen TV. Family rooms are available and breakfast is included. Just a 10-minute drive from Six Flags Discovery Kingdom. DoubleTree by Hilton Hotel & Spa – Offering guests free access to the gym, Jacuzzi and swimming pool, this hotel ticks all the boxes. With the high standard of service you will have come to expect from Hilton, DoubleTree also has a spa and eco-friendly restaurant. Over 100 different wines are available at the bar. Fairfeild Inn and Suites – Complete with outdoor pool and concierge service, Fairfeild Inn has everything you could ask for. Daily complimentary breakfast is included in the room rate, as is WiFi and access to the gym. The rooms are comfortable, spacious, and feature a small kitchenette area with a refrigerator and microwave. 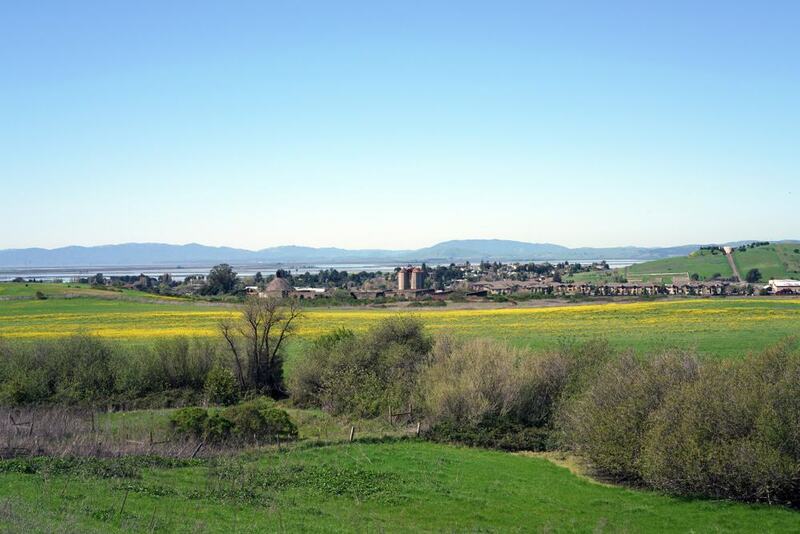 The tiny township neighborhoods of Oakville and Rutherford showcase life in Napa Valley at its finest Sitting just off Highway 29, these neighborhoods offer visitors the opportunity to totally relax, unwind, and enjoy some of Napa Valley’s most picturesque vineyards. Those with a penchant for a Cabernet Sauvignon will feel as if they have landed in paradise in Oakville and Rutherford. Unpretentious and unassuming, the Peju Province Winery is welcoming and vibrant. A wonderful starting point for those new to the wine game. It should be mentioned that St Supéry Estate Vineyards & Winery have created one of the most refined Cabernet Sauvignons around. Their Sauvignon Blanc is not too shabby either. You’ll undoubtedly leave with a case for your own collection. Oakville and Rutherford are perfect for visitors whose desire is to focus on food and wine almost exclusively while in Napa Valley. Good For: Foodies, Budding Sommeliers, Older Travelers, Luxury Travelers, Laid Back Travelers. Neighborhood Highlights: St Supéry Estate Vineyards & Winery, Peju Province Winery, Caymus Vineyards, Frog’s Leap Winery, Inglenook, Round Pond Estate. Auberge du Soleil – Offering an expansive spa complex, unrivalled views of the valley and impeccable service. Imported Italian bed linen and oversized bathtubs in every room for added comfort and luxury. Rooms and suites available. Adjoined to highly acclaimed, Mediterranean-inspired, Auberge du Soleil Bar & Bistro. Rancho Caymus Inn – Beautiful gardens and an elongated swimming pool add a regal feel to Rancho Caymus Inn. The staff are incredible and can cater to your every need. Rooms and suites are available, each complete with coffee machine, flat screen TV and free WiFi. The breakfast is exceptionally good. Charming Wine Country Farmhouse with Vineyard View – AirBnB – Ideal for families or groups, the Charming Wine Country Farmhouse is a real home away from home. The property features spacious gardens, outdoor furniture and impressive swimming pool. Sleeping up to 8 people per night across three bedrooms. The farmhouse overlooks Hoopes Winery Vineyard.